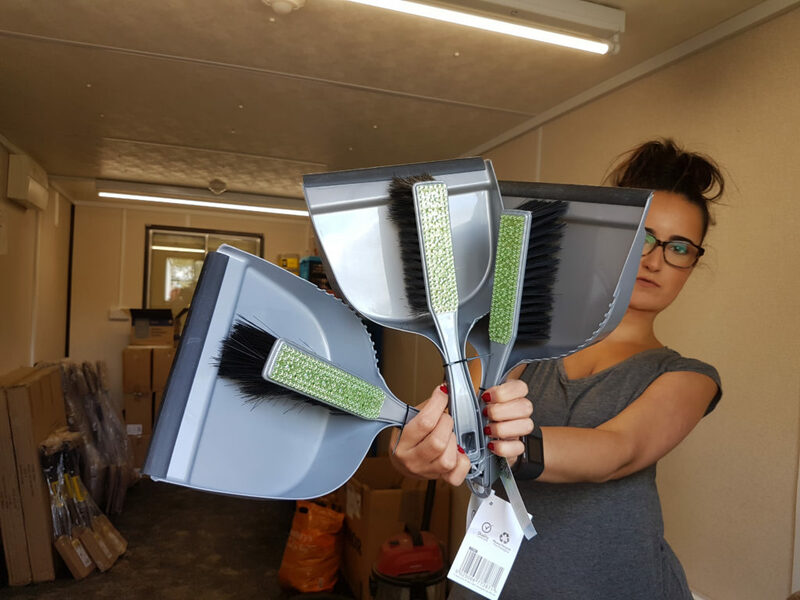 Carolina returns from a shopping errand armed with 3 dazzling dustpans and brushes all in our Border colourways! Thanks for the “fanning pans” pic Carolina. This takes us to a whole new level!